This is the deadest period of the NFL calendar but Ravens fans have found a way to keep themselves occupied: memes. 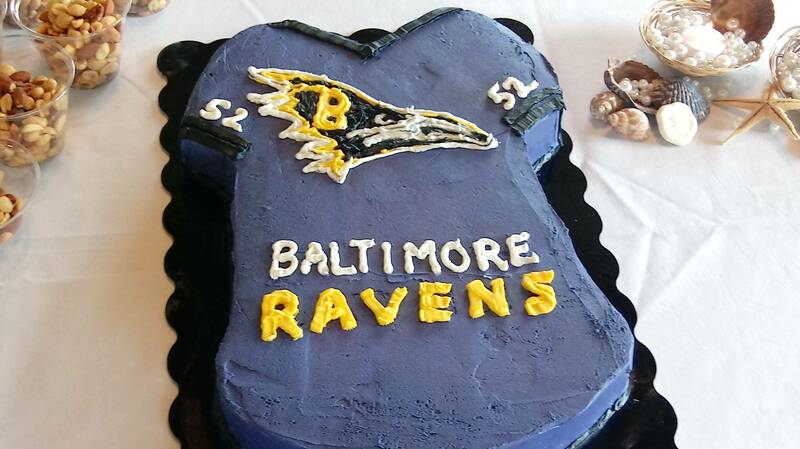 It all started when a Rams fan dropped by the Ravens subreddit to share a photo of their brother’s wedding cake. Yikes, that logo is pretty bad. But it’s bad in a lovable way, so fans started photoshopping it in place of the real Ravens logo. On Tuesday, one user cut the logo out onto a transparent background for easier meme-ing, and the whole thing totally blew up. Sure, this whole is silly beyond belief, but I also think it’s one of the things that makes sports cool. Here is this fairly small community of fans who are still active enough in the off-season to start a stupid little in-joke that hundreds of them are loving.